Suspected witches were sometimes dropped into a body of water to determine if they possessed evil spirits. If she sank, she was innocent. If she floated, she was guilty because the pure water had cast out her evil spirit. Witches were believed to have superhuman powers to harm other people or to lure them into a compact with the devil. They were generally charged with giving themselves to the devil or losing their fear of God. Sometimes, a witch would be identified through witch marks seen on her body. Accusers tried to force witnesses to testify against the accused. A formal complaint started the process. Then local magistrates collected evidence, usually depositions from witnesses and an examination of the accused. Torture was a favorite method of extracting confessions—because people would say almost anything to get the pain to stop. To confess to witchcraft was to earn a life sentence in jail, and to deny the charge often resulted in a death sentence. The information collected by the magistrates was forwarded to the higher courts, which referred the case to a grand jury for indictment. Full consideration was given to written evidence and testimony by witnesses. If indicted, the case went to a jury trial. The governor’s assistant served as prosecutor, and shaped the jury’s understanding of the case. Once all of the evidence was presented, the jury delivered its verdict and the magistrate imposed the sentence. If the jury returned a verdict with which the magistrate disagreed, he could overturn it. 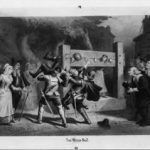 By the mid-1660s, Connecticut Governor John Winthrop Jr. began to express concern about executing witches, and public sentiment eventually began to turn against the practice. Between 1653 and 1697, more than thirty other residents of the Colony were accused of being witches. They either fled prosecution, were acquitted, or were found guilty of lesser crimes. None of these were executed. 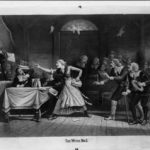 In Connecticut, witchcraft was last listed as a capital crime in 1715. The crime of witchcraft disappeared from the list of capital crimes when the laws were next issued in 1750. Historians can’t say exactly what caused the witchcraft trials, but many believe that fear was the primary cause. 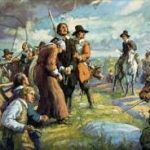 The colonists held strong religious beliefs, and after years of fighting Native Americans, floods, and epidemics, may have been looking for someone or something to blame for their hardships.